Tags Posts tagged with "a.p. 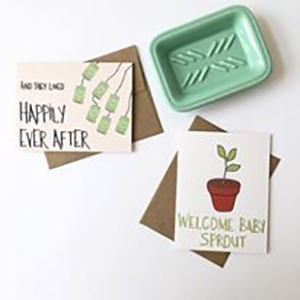 loves design"
See how a local card designer is showcasing a topic rarely talked about amongst friends and family - infertility - to make a difference through super cute designs. Andi Ploehs is the founder of A.P. Loves Design and recently launched a line of fertility cards. In the digitally-driven world we live in today, handwritten notes come far and few between. But who doesn’t enjoy getting a card from someone they love? Especially if it makes a difference. That’s why Andi Ploehs launched her business A.P. Loves Design, a feel-good hand-lettered greeting card and paper goods company. 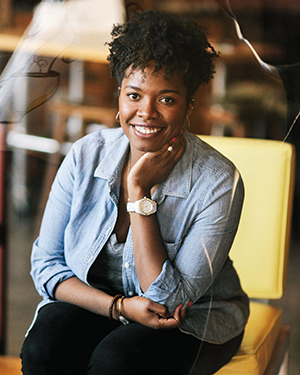 Ploehs is the owner and creative director behind her business and a self-proclaimed girlboss. She found inspiration to start her business and launch lines of greeting cards and paper goods by the world around her. “We’re inspired by the beautiful city we live in, nature, families, cultures, food, laughter, strong women, and being true to yourself,” she says. Ploehs recently created a new line of cards that touch on a subject that is all too often something that isn’t talked about – fertility. “Our new line of cards are focused on fertility, but you can find a couple that you can use to cheer up a girlfriend or just let someone know how awesome they are,” she says. The cards are all hand-lettered, just like her other products, and are made with recycled materials. However, the creation of the cards were easy to come up with, as Ploehs say she’s experienced every single card. “I think they’re honest, but created with love,” she adds. Ploehs has suffered from two losses just this year alone, and as a result has struggled with trying to understand why she and her husband were chosen to go on such a journey. Ploehs designs and creates her own lines of greeting cards. The fertility cards have become a way for Ploehs to not only have a creative outlet, but to bring up something that she believe should be discussed more. Through the card line, Ploehs says that she hopes to be able to open communication and dialogue between families and friends. Ploehs says that she recently released her holiday cards a few weeks ago, and totally ahead of schedule. To see Ploehs and her collection in person, you can check her out at the Crafty Supermarket Holiday Show on November 19, where she’ll be debuting her new product – gift wrap. You can learn more about Ploehs, A.P. Loves Design, and shop the line of fertility cards at aplovesdesign.com. You can also follow along on Instagram where you can see sneak peeks and behind-the-scenes photos. Ploehs says that she also started the hashtag #interfilitywontsilenceme on Instagram in honor of National Miscarriage and Infant Loss Month. “Please help end the silence,” she says of the hashtag.